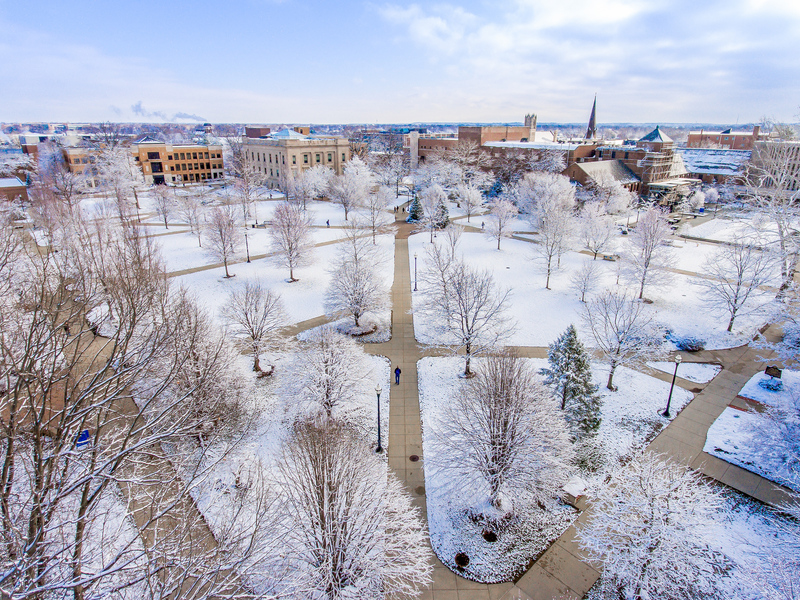 Indiana State University continued its commitment to demand-driven education when its Board of Trustees approved Friday the creation and revision of a business analytics minor and three health programs. "These program changes illustrate how Indiana State is working to ensure Sycamores are career-ready when they graduate and have access to rewarding professions," said Mike Licari, provost and vice president of academic affairs. "We're always listening to the needs of our students and industry partners and adapting our programs in meaningful ways to meet those needs." A new business analytics minor will be effective fall 2019. Business analytics is a fast-growing field that involves leveraging a company's data to improve decision-making, increase efficiency and productivity, and to become competitive in a global market. Offering this minor within the Scott College of Business will help meet industry needs, while allowing Indiana State to offer programs similar to peer institutions. A survey of current Scott College business students in March 2018 showed strong interest in the minor, with at least 32 students indicating a strong or moderate interest in the minor, if offered. Of those 32 students, more than half will still be enrolled when a minor is offered, strong evidence the minor will immediately attract students. "Research shows the job market for people with skills in business analytical methods - including data mining, forecasting, statistical analysis, simulation and optimization - is growing," said Brien Smith, dean of the Scott College of Business. "In fact, federal labor data shows employment opportunities for management analysts and business analysts is up 14 percent from 2014 to 2024, which is much faster than the average occupation." The new sport management program will be effective fall 2019, pending approval by the Indiana Commission of Higher Education. Currently, the undergraduate sport management proposal exists as a concentration as part of the recreation and sport management degree. Because of the minimal amount these degree programs have in common, the concentrations share a core of nine credits and vary from 36 to 60 credits for the concentrations (total of 45-69 credits). This proposal breaks off the sport management concentration into a standalone major. The new major will be 45 credits in length and will have industry specific classes, rather than general courses that must incorporate information for multiple programs. This change also affects the recreation management and youth leadership major, which becomes a program with two concentrations that share a core of 30 credit hours (to allow for easier change between concentrations) and cores of 18 credits (youth leadership) or 39 credits (recreation therapy). A Gallup Poll indicates only 11 percent of business leaders strongly agree that graduating students have the skills and competencies that their business needs. By becoming a standalone program, Indiana State will be in a better position to meet this demand by having a student body dedicated to the discipline and by directed their learning towards more applicable knowledge and experiences, rather than maintaining generalized materials that apply over four programs. Lastly, two public health program name changes will be effective next fall, pending approval by the ICHE. The Master of Public Health degree was previously a Master of Health Sciences, and the Bachelor of Public Health was formerly a Bachelor of Health Sciences. The health sciences program is seeking Council on Education for Public Health accreditation, and the changes will better distinguish Indiana State in the realm of public health and increase the visibility of the programs. • Trustees approved a four-year lease of Hulman Memorial Student Union (HMSU) with Sodexo. The total amount of Sodexo-leased square footage is 29,385 feet at a rate of $18 per square foot. The term of the agreement is from July 1, 2018, to June 30, 2022. • Trustees were provided with the 2017-18 audited financial statements, which received an unmodified audit opinion from the Indiana State Board of Accounts. This opinion reflects the FY18 financial statements were presented fairly, in all material respects, in accordance with generally accepted accounting principles. The financial report is available online. • Trustees approved transitioning the University Handbook into a University Policy Library in January, Policy 100 establishing the University Policy Library and the renumbering and/or renaming of ISU Policies. The University Policy Library, as successor to the University Handbook, will provide more comprehensive information about university policies and easier access to relevant policy information for the campus community. All policies in the library will be reviewed on a rolling three-year basis by the president's cabinet and the president. No substantive modifications to Indiana State policy are involved in this transition. A communication campaign to campus is planned for the spring 2019 semester. • Trustees approved candidates for degrees to be awarded Saturday at winter commencement. • The board is set to meet again Feb. 21-22, 2019. The Board of Trustees approved the creation and revision of a business analytics minor and three health programs.